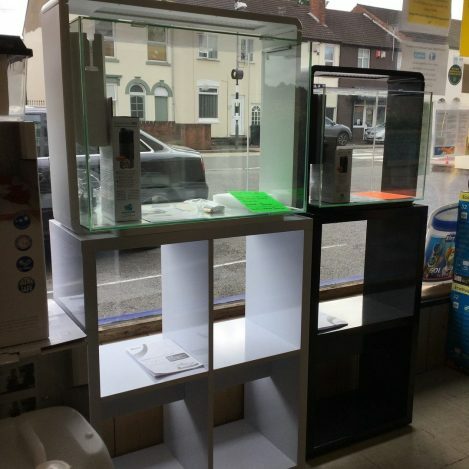 The Super fish Home 80 tank is a modern aquarium, ideal for aqua scaping and is available in either black or white. It comes with a long lasting LED energy saving light. Double colour white and blue LED on separate finger touch controls. The LED lights also come with remote control, controls both white and blue lights. Comes with a glass cover. 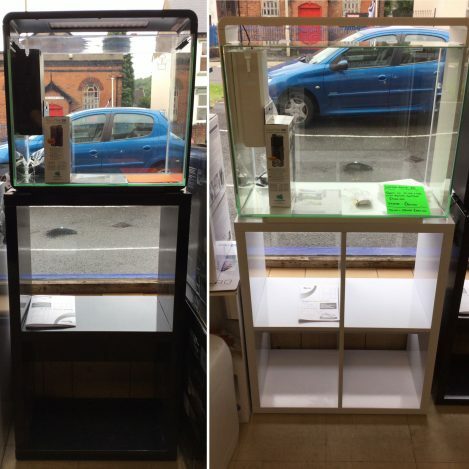 Stands are also available for the home 80 tanks. 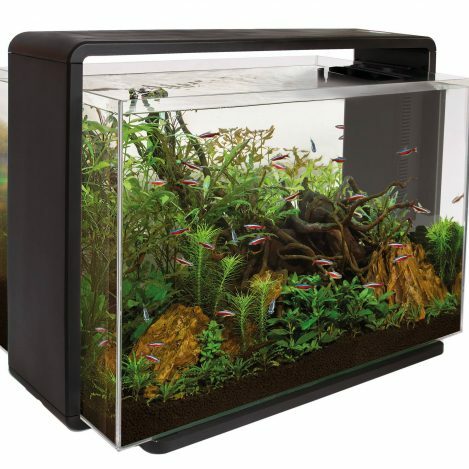 We would recommend either a 100 watt maybe 200 watt size heater for this tank might be better.